Your new car rolled into your life with the latest innovations in design and construction. But it still has to battle the wear and tear of our harsh Canadian climate. Strong UV rays, extreme heat or cold, snow and ice, rain or humidity, road salt and pollutants can harm your car's beauty and its functions. 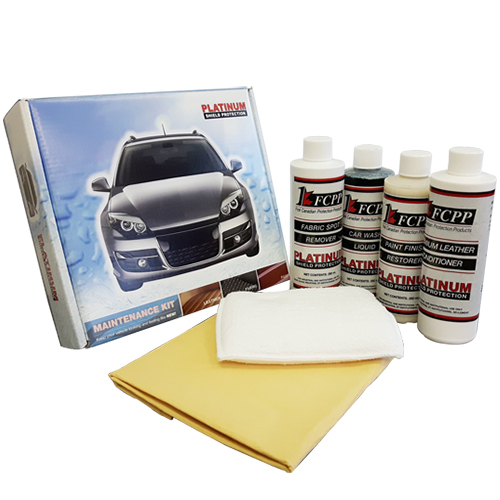 Exterior and interior safeguards from Platinum Shield Protection will defend your vehicles against harsh conditions. 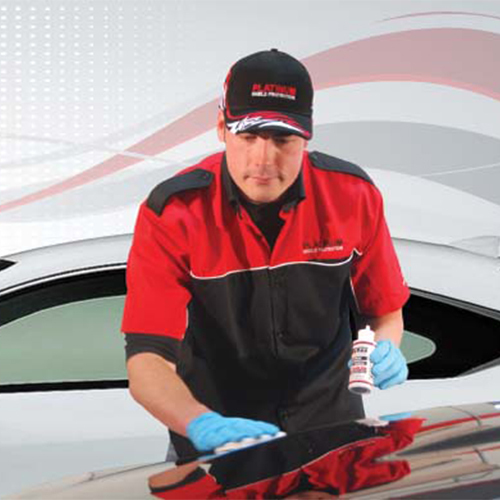 Keep your vehicle looking and feeling like NEW! The sun's powerful ultraviolet rays will cause your vehicle's paint to fade. The clear-coat finish on the painted surface is uneven. Its peaks and valleys trap dirt, salt, pollutants and moisture, which dull the finish, ruin the look of your vehicles and affect its resale value. A driver's spilled coffee or a child's sloppy snack are mishaps you can almost expect to challenge your car's interior. But what about bigger messes and more unexpected mishaps? A cut from a hockey skate, or a tear from an object forgotten in your pocket? An accidental spray that stains your headliner? Rust never sleeps. Once it gets going, it can adversely affect how your car performs, shortening its life. Modern vehicles have many hard-to-reach crevices where moisture and dirt love to collect - creating ideal conditions for rust. 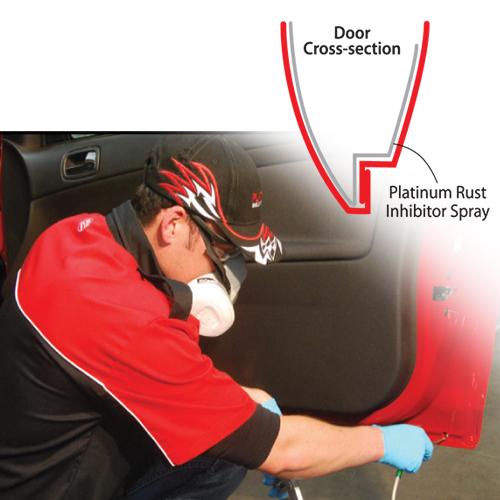 Platinum Shield offers two choices for holding rust at bay.